Thomson Reuters has launched BlockOne ID to let developers build applications in a controlled environment with blockchain. BlockOne ID (for Ethereum) is an experimental user-entitlement framework through which decentralised app (DApp) owners can manage access to their blockchain contracts. Thomson Reuters says it uses traditional methods to authenticate users and provides a mechanism for DApp owners to authorise these users to access their smart contracts. The firm says the new tech can solve problems with past blockchain technologies – such as user authorisation and entitlement; key management; and user ID obfuscation for privacy. Solutions include a secure hosted wallet which creates new, unique addresses on a per-DApp basis. It also allows multiple addresses to be used per DApp for identity obfuscation. 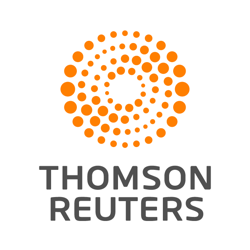 Thomson Reuters says it has no access to users’ passwords or keys. All keys are encrypted/decrypted on the client-side. The firm stresses on its site that it is in the beta stage. In third parties we (mis)trust? Technology is transforming trust to the point that people find themselves trusting others with whom they've had no experience, on eBay or Facebook, more than banks they've dealt with their whole lives.